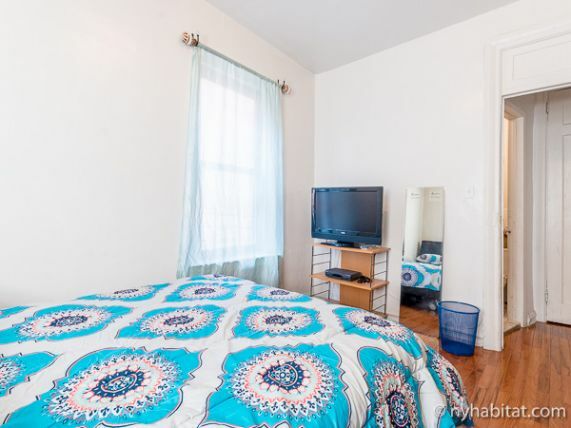 This is our reference NY-16948 Head uptown to Washington Heights, Manhattan for this shared two bedroom furnished rental. 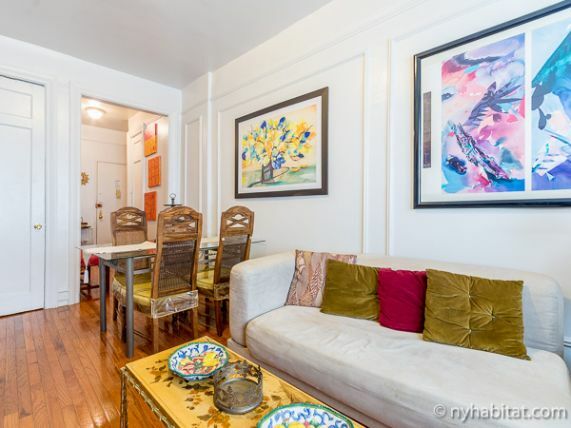 The low-rise walk up building near Wadsworth Avenue and Nicholas Avenue hosts this apartment on floor 4 of 5 (known as 3 of 4 in Europe). 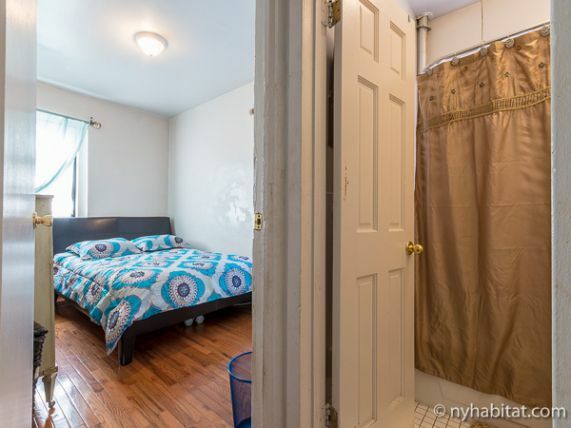 Escape into this room for rent that provides a different pace of life from the encompassing NYC skyscrapers. 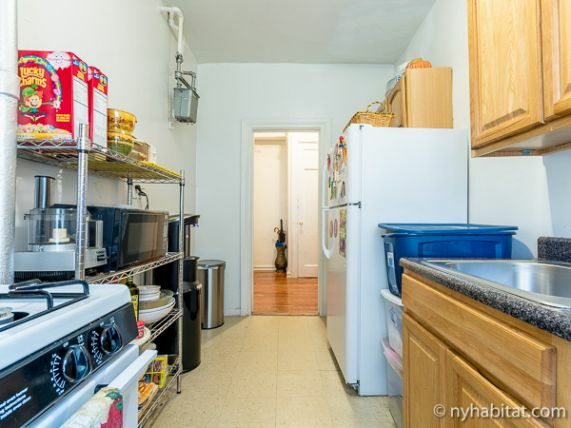 Please note: This is a shared apartment. You will have private access to a bedroom and shared access to the living room, kitchen, and bathroom. 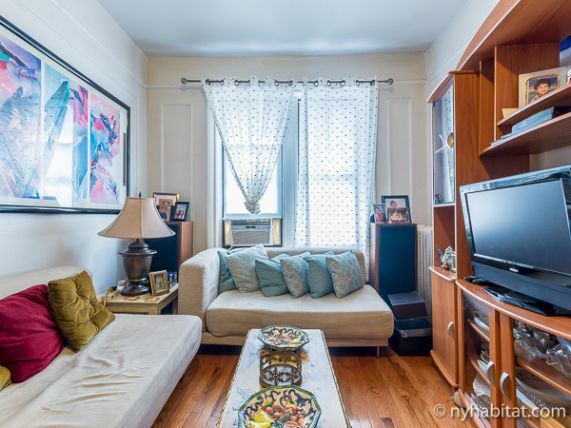 In the living room, two windows let natural light into the space with a sofa, cable TV, and dining table fit for four. 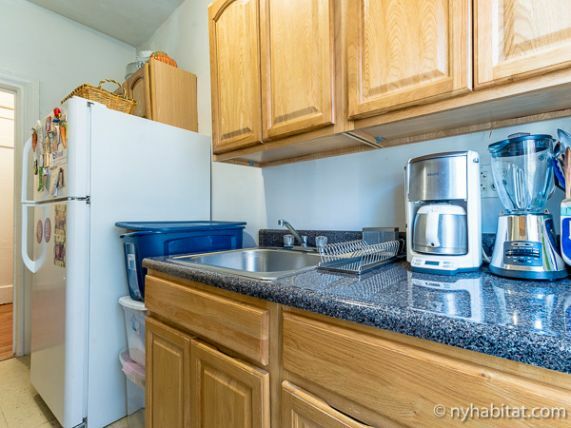 The fully equipped kitchen supplies a full sized oven, refrigerator/freezer, and microwave useful for meal prep or heating leftovers. Hardwood floors separate the tiled kitchen and bathroom from the living space. The approximately 115 sq. ft. (about 10.6 sq. meters) bedroom has a queen sized bed, cable TV, and large windows to wake up every day with the sun. Air conditioning flows through the entire apartment for air movement in the summer. 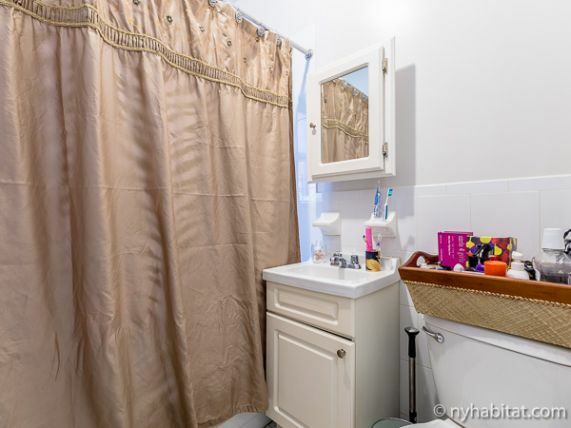 The shared bathroom is tiled and contains a shower/bathtub, WC, and a hand held shower head. 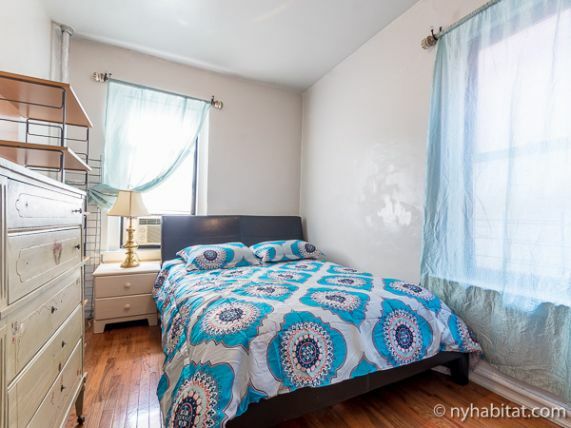 191st Street / Saint Nicholas Avenue (0.1mi/200m) is your spot for local transportation on the subway for the 1 train that leads into downtown Manhattan, New York. 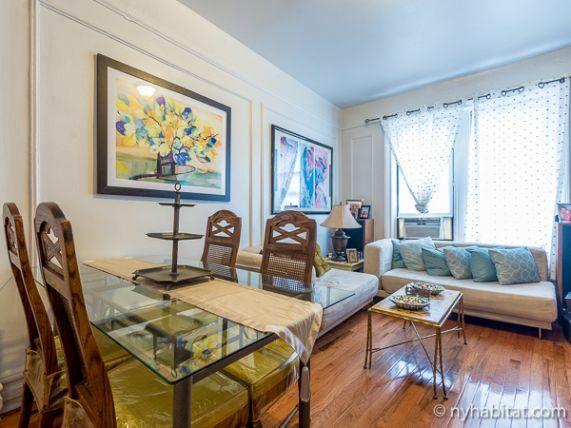 Choose to go local or you can transfer to the A or C trains one stop away at 168th Street.